Boldo tea is a South American infusion with a long history of providing a health cleansing action to many people. This tea is made with mint-scented leaves and is often used to support the digestive tract and the liver. There are many health benefits to drinking this herbal tea, but care should be taken because this is a very powerful herb. Let’s learn more about this cleansing herb! Boldo, peumus boldus in Latin, is an evergreen branching shrub or a small tree that is native to South America, mainly in central Chile and Peru. Today it may be found also in Ecuador, Argentina, Bolivia and Italy and North Africa as well. It favors particularly the slopes and meadows of the Andes. This small tree may reach 5-7 meters in height, sometimes even more. Its leaves are about 5cm in length, oval in shape and reddish brown when dried. The leaves have with a leathery surface just slightly hairy and when they are crushed the resulting odor is strong and disagreeable. Boldo trees have small pale white to yellow flowers that are bell-shaped and very aromatic with a distinctly minty scent. From December and February, the tree bears small yellow-green fleshy fruits no bigger than 1-2 cm in diameter. These are very tasty and nutritious. For centuries, boldo leaf tea was used by the ancient civilizations of Chile and Peru. The native tribes of South America would use these leaves as a culinary spice or as herbal infusion to treat the liver, the gallbladder and the urinary tract. This tea was also traditionally used to cure stomachaches, hangovers, inflammations and rid the body of intestinal worms. For centuries it was valued for its detoxifying action as well as its ability to soothe pain and calm strained nerves. While some would drink boldo tea on its own, its strong bitter flavor led people to blend it with yerba mate, another popular South American beverage. With this, they were able to create a more palatable drink that was sill filled with health benefits. Later on this herbal tea was introduced to Europe and North Africa, although it is now cultivated in these parts of the world, it is still not a very common herb to find outside of botanical gardens. Today, boldo tea is still valued for its health benefits and continues to be drunk either on its own or blended with yerba mate or other teas in many South American countries. Boldo leaves are still featured as a culinary herb, giving a woody and slightly bitter flavor to many dishes. Boldo is valued for its strong fragrance; the essential oil extracted from the leaves is used in the perfume industry. Its small fruits are eaten in Chile or dried and then used as beads in necklaces and folk art. Let’s take a look at some of most important benefits this herbal infusion has to offer. Boldo is an herb rich in many elements, such as boldine, camphor, limonene and coumarin, all of which are phytochemicals, potent natural antioxidants. It also contains flavonoid glucosides, tannins, resins and volatile oils. These components help to make this herbal tea a healthy drink that provides many benefits such as the ones that follow. Boldo leaf tea is a wonderful herbal tea to help with stomach pains and bad digestion. Drinking a cup of this tea may help to fortify the stomach and help prevent and relieve heartburn or stomach spams and cramps. This infusion may stimulate your stomach in cases of slow digestion. If you have a heavy stomach after meal, you may need a cup of this tea to help boost the production of bile to speed up the breaking down of foods, allowing your body to better absorb its nutrients and get rid of unwanted wastes. Drinking this tea may also increase your appetite, something that could prove useful after a debilitating disease. Boldo tea may aid in sorting out an upset stomach, and increase production of saliva, two things that stimulate the appetite. A cup of boldo tea may also improve the health of your intestines. It may be used to bring relief in case of bloating, flatulence or colic. It has a soothing action that helps to calms bowel spasms and relieves inflammation in cases of irritable bowel syndrome. Boldo herbal tea is said to help alleviate constipation, preventing the formation of gas, as it has a moderate laxative effect on the intestines, helping to flush out toxins, while keeping you hydrated and healthy. Some people may use this tea to promote weight loss, as it may help to improve digestion by speeding up the absorption of nutrients while dissolving and eliminating fats. However, be aware that as boldo tea also increases appetite so make sure to eat healthy and non-fattening foods. Another great digestive benefit of this infusion is how it keeps the digestive tract healthy by expelling microbes, bacteria and even intestinal worms. Finally, it is also said to have a healing and cleansing action in the case of food poisoning. One of the best known benefits of boldo tea is its ability to relieve liver disorders, such as liver congestion or colic and even aids with hepatitis. Its cleansing action on the liver may also protect and strengthen it against diseases, particularly due to the antioxidants present in this infusion. Drinking this tea helps to promote liver function, stimulating bile production, an important agent for a healthy digestion. It may also help to detoxify the liver when it is under the pressure of wastes, toxins and medications that are processed and filtered through this vital organ. By helping your liver to work properly, this tea may the ideal beverage for treating a hangover. It is said to aid eliminating alcohol from your body as well as getting your liver to work quickly and efficiently. It may soothe other symptoms associate with hangovers such as nausea or other digestive discomfort and headaches. It may help to prevent the formation of gallbladder stones. It is said that it may also treat and reduce existing stones, but this should be done with care and only for small stones. In more serious cases, boldo tea may worsen the situation and so the advice of a doctor and proper testing is always recommended. Boldo tea is considered an antimicrobial and antibacterial infusion as it is said to help treat infections and also prevent diseases caused by harmful bacteria or viruses. Additionally, it may help relieve inflammation in its various forms by expelling the toxins and parasites from your body. A cup of this tea may help support and boost the immune system, building your defenses against environmental stress. The antioxidant content of this herb helps to reduce the harmful damage caused by free radicals on the organism. It may bring relief to an overloaded immune system, allowing it to recover and improve. It may also support the treatment of colds, fevers, syphilis and gonorrhea, but in the case of serious ailments, boldo tea should not be used without the supervision of your doctor and may need to be used in conjunction of other medication. A cup of blood tea may have a calming effect on the nerves. It is considered a mild sedative that could be useful when you are having trouble sleeping, relaxing the mind in case of insomnia. It may also be used as form of pain relief. Exhaustion often causes headaches and drinking boldo tea may not only relax you, but also soothe the pressure and pain in your head. It is also often used when headaches are caused by hangovers. It is said to help fortify the nerves, allowing you to deal better with situations of anxiety and stress. Boldo tea may also act as a diuretic, helping to purify the body from harmful elements and protecting the body against disease. You may experience an increase in urination as your body eliminates fat buildup, excessive sodium and helps to reduce fluid retention. This herbal tea’s sedative action may also be of service in cases of arthritis and rheumatism. Not only is this tea said to soothe the pain in your joints, but its cleansing action may help expel toxins that are causing inflammation in your articulations. It may also be applied topically in the affected areas to stimulate circulation. This could help to heal and reduce painful soreness in joints and tendons. Drinking boldo tea may help treat minor kidney and bladder disorders. It is said to reduce bladder inflammation and treat cystitis, infections in the urinary tract. This herbal tea may also help expel kidney stones. However, this situation should be monitored by a doctor, as with more serious situations a simple herbal infusion may be insufficient to treat the issue and put even more pressure on your kidneys. Remember that this tea acts as a diuretic and so may boost urine production, something that could be of help when you are attempting to restore and strengthen your urinary tract. Boldo leaves may be used to create a tea that could be applied carefully on your skin. Apart from the benefit of stimulating circulation and relieving rheumatism, this tea could also help to clear up skin blotches. Follow up this treatment with a dermatologist to ascertain what the source of your skin disease is. Choose your boldo tea now! Boldo tea offers a range of health benefits, but you should also take care when taking this tea medicinally. Pay attention to the dosage or any previous medical conditions and, of course, talk to your doctor about drinking this tea. This tea should be treated more as an occasional health beverage rather than a regular drink. This is an herbal tea that should not be used for long periods of time continuously. Drinking this tea for more than 3 or 4 weeks may prove to be dangerous and destructive for your body. Excessive amounts of this tea on a daily basis may also be unhealthy, possibly even toxic. Too much may cause nausea, vertigo, agitation, convulsions, even paralysis or death. While this tea is a sedative, too much of it may overpower the nervous system acting as a dangerous anesthesia. Not sticking to the recommended amounts may also overstress the very organs that you are trying to heal. For example, too much boldo tea may irritate the kidneys and the urinary tract, it may also obstruct the bile ducts from too bile production and liver overwork. Finally, too much of this infusion may cause gastrointestinal distress, even intestinal damage. Make sure to have a doctor prescribe the right dosage of this tea for you and what your body can handle. This herbal tea is not recommended for pregnant or breastfeeding women. Even the recommended dosages may prove to be toxic for the infant and could cause miscarriage. As not enough studies have been conducted on this tea, it is also best not to give this tea to children or the elderly as both these groups of people are more sensitive to such potent herbs and it could prove to be very hard to prove the right dosage in each case. Do you have a history of serious liver or kidney disorders? Then this tea may prove to do more harm than good. In case of serious ailments, your body may not be able to process the components in a cup of boldo tea and instead of helping it can worsen kidney or liver conditions. Do not take this tea in case of acute hepatitis, large gallstones or obstructed bile ducts, because boldo tea may boost the function of the liver and gallbladder in a way that may harm these organs. This herbal tea has blood-thinning properties, so make sure not to mix it with medications for blood clotting as it may cause dangerous bruising and hemorrhaging. For this same reason, make sure to stop drinking this tea at least two weeks before undergoing surgery. If you are taking any medication that puts stress on the liver, then it is best not to drink this tea without talking to your doctor first. While sometimes it may just be a matter of adjusting dosage of the medication, there may be incompatibilities with some of its chemical components. Boldo tea is made using fresh or dried leaves of this herb. Sometimes tea is made using bark of this plant, but it is generally considered less effective than an infusion of the leaves. Dried boldo leaves are easier to find than fresh ones. Start by boiling a cup of water, this is about 250ml. Now place in a cup or mug 1 teaspoon of dried crushed boldo leaves. Alternatively you can use about 2 fresh whole leaves for the same cup of water, cut up into small pieces. Pour the boiling water over the leaves and let the tea steep for about 10 to 15 minutes. Remember that the longer you let it steep the stronger the tea will be and at some point it may become too unpleasant to drink. Strain and drink. Boldo tea is considered by some to be strong and slightly bitter. 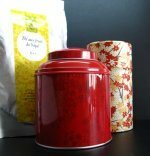 If you feel that this tea is too bitter for you, then add a bit of sugar or honey to help improve its flavor. The usual recommended daily dosage is about 2 to 3 cups of this tea per day, but do not hesitate to drink less or, better yet, talk to your doctor about what the correct dosage is for your body and health conditions. If you wish to improve your digestion, than it is best to have a cup of boldo tea before having your meals. This is also helpful when your goal is to prevent heartburn, flatulence or bloating. To bring down the bitterness of this infusion, you can mix boldo leaves with regular tea leaves making this a more palatable beverage. 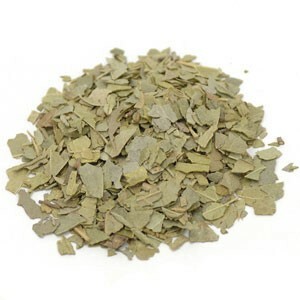 In South America, it is also common to blend boldo leaves with yerba mate. For treating urinary infections or gallstones you may blend boldo with barberry. For digestive issues, you may blend this herb with buckthorn, rhubarb and gentian. For a calming and sedative effect, it is preferable that you drink a boldo infusion after your meal and not before. Buy Your Boldo Tea Today! Click on the image or on the link below to purchase from Starwest Botanicals your Boldo. 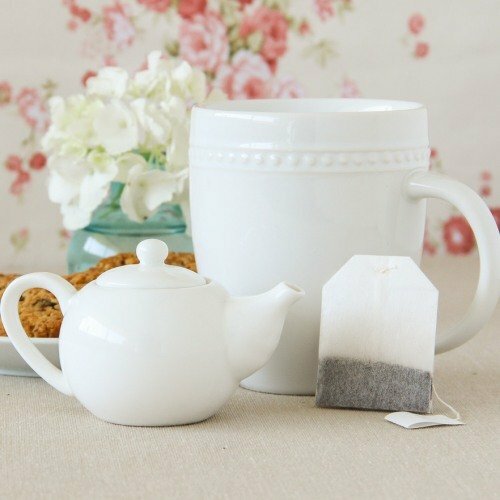 Make a cup of cleansing tea using either dried cut leaves or using boldo powder. 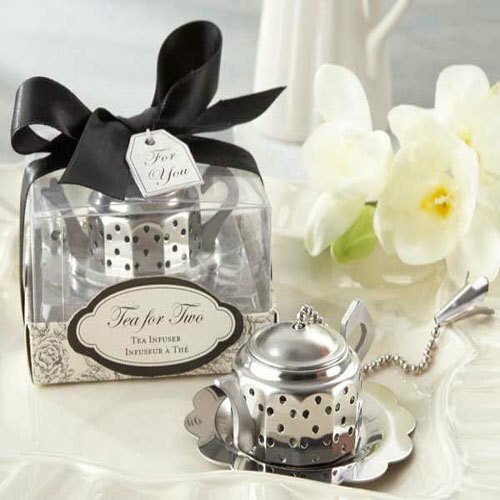 Follow the advice of your doctor and soon you will be enjoying a healthy detoxifying cup of tea. Boldo tea is an herbal tea that may be of great use for you. With its bitter flavor, but healing properties, it may be the right tea for you.